Ojooo, based in germany, was created by Michael Thees in march 2013. The society also exploits mails, researches, hotels business and various other services. The PTC is their latest project. PTC Ojooo has to his side an unique conception with great communication and various adc from business to technology, going by many other domains, with well known societies in them. Ojooo is an amazing website, able to make you earn more than other PTC. Why ? Because the cost to advertise is very cheap, so you gain faster. Renting referrals are very profitable here The upgrade to premium+ is only 39$ for a year, getting you between 30 and 35 ads per day, and the rented referals is between 0.06 and 0.15$/day. In terms of paid to click it is one of the best site to earn money. With a free account and 100 RR, and 0.06 per rented referals a day, you can earn 512$ a month. Say you have 200 rented referals, if each of them brings you 0.06, then that makes you twelve dollars a day, minus the investment = 10.57$ per day, making you win 317 a month. And so on : at 1000 referals, you can earn 4200 dollars a month. Ojooo has a Traffic exchange program as well. You don't need to view others websites in order to earn minutes. You can surf others websites just like an autosurf. Ojooo's new system says that the payment deadline is 2 Weeks Max. moreover It's system has completely changed and all Ojooo money is freezes for shares. It is now time to register. Ojooo is one of the least disappointing PTC, the most important is that rented referals are very active! Ojooo is currently paying to its members on time. 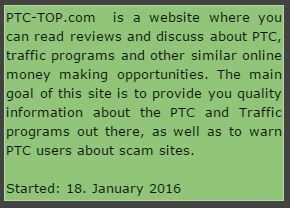 Assumption about NeoBux and the same scheme are at other PTC sites. How it is possible to not lose money, earn money when AVG of RR it is 10x lower than needed? Admin of Neobux doesn't know that? Neobux sell unlimited RR so who decide about AVG of RR if RR is bigger then quantity of members? 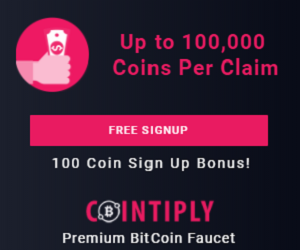 What is a reason to promote bisness based on ponti scheme and people can't earn any money because income is lower then costs? Neobux and other PPTC sites establish costs of RR and other costs, so they know that people will lost money but PTC means Paid to Click so members sould be paid for their job, it is not a speculation, not risky casions but job. So explain me why You promote PTC sites when You know that people will not be paid for their job but also lost time and money? If my calculations are wrong plese to sent me right calculation to show that people will not lose money.